At Troy Clancy Jewellery we are able to help you arrange your special piece to be insured by one of the world’s leading insurers, the Centrestone Insurance is the only policy that guarantees you can always return to your original jeweller in the case of any loss or damage. Centrestone Jewellery Insurance offers the most comprehensive insurance in the market for your precious jewellery and timepieces. Underwritten by Berkley Insurance Group (AFS license number 463 129), Centrestone has the backing of a New York Stock Exchange listed global insurer, W. R. Berkley Corporation with over $US20.5 Billion in assets. It is our mission to provide a premium service, offering the highest level of protection for your precious jewellery. Centrestone has worked with Berkley to ensure we have the most competitive premium rates in the market whilst providing the highest level of cover. Troy Clancy Jewellery recommends Centrestone Jewellery Insurance Policy because of its recognition and reliability. With Centerstone, your jewellery is insured at the purchase price, rather than a valuation price, so you will not have to pay any excessive premiums. 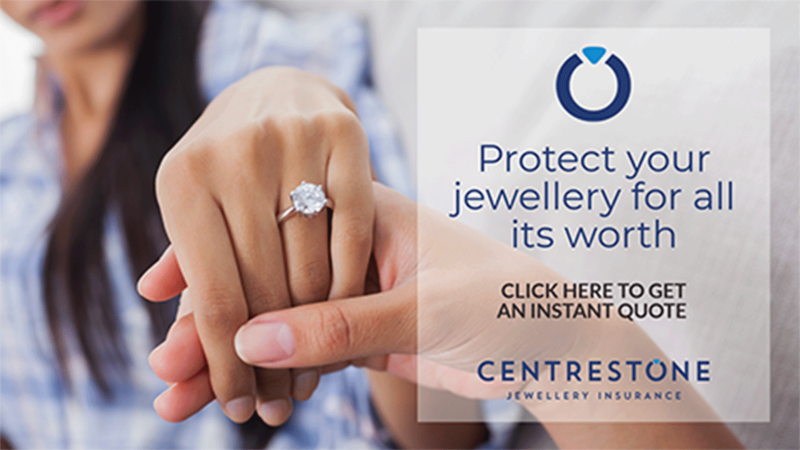 Centrestone understand that diamonds, gold etc can increase in value over night so they will insure all your jewellery collection up to 125% of the sum insured. This way you can be rest assured that in the event of something happening you will be able to replace your jewellery with no stress and worry.